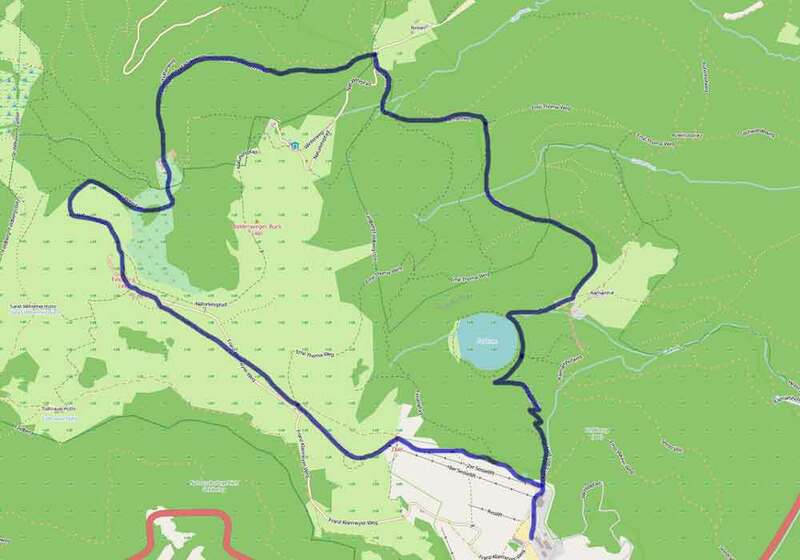 Distance about 9 km, duration about 3 hours. Start at the church in Lenzkirch. Pass "Schmidts Markt" and continue along the road "Am Sommerberg". Walk over the Strohberg to Lenzkirch-Kappel. You can stop for a meal at the quaint restaurant Blume. Continue towards Lenzkirch-Saig past the swimming pool and the Hierakreuz to the Hierahof. Turn left there and walk back to Lenzkirch. Distance about 16 km, duration about 5 hours. Start at the church in Lenzkirch. Pass the cinema and walk along the river Urseebach towards the nature reserve Ursee until you reach a small pump house. 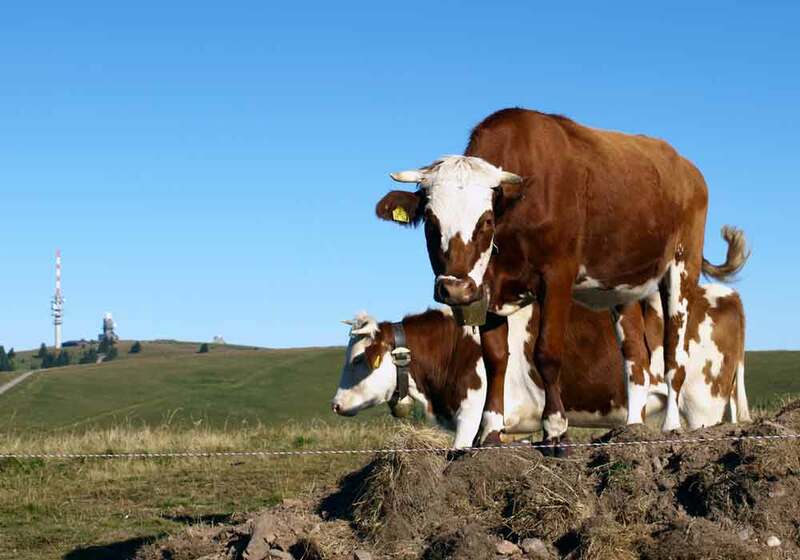 There turn right and then left and follow the road for about 1 km until the fork to Möslehof. Turn left down to the Möslehof. On the left hand side in the Ursee Valley you see the small glacial lake Ursee. At the Möslehof follow the Shepherds Path towards Lenzkirch-Berg and then turn left and walk with Lenzkirch-Raitenbuch to your left to the Raitenbucher Höhe. Here you leave the Sheperds Path and continue to the Fischbacher Höhe. Cross the road there and walk to the Schwende. Down in the Schwende valey you pass the small chapel St. Cyriac, whose history reaches back to the 16th century. Behind the chapel turn right and follow the road for 600 meters. Then turn left to the river Urseebach and walk again along the river back to Lenzkirch. Distance about 18 km, duration about 5 hours. 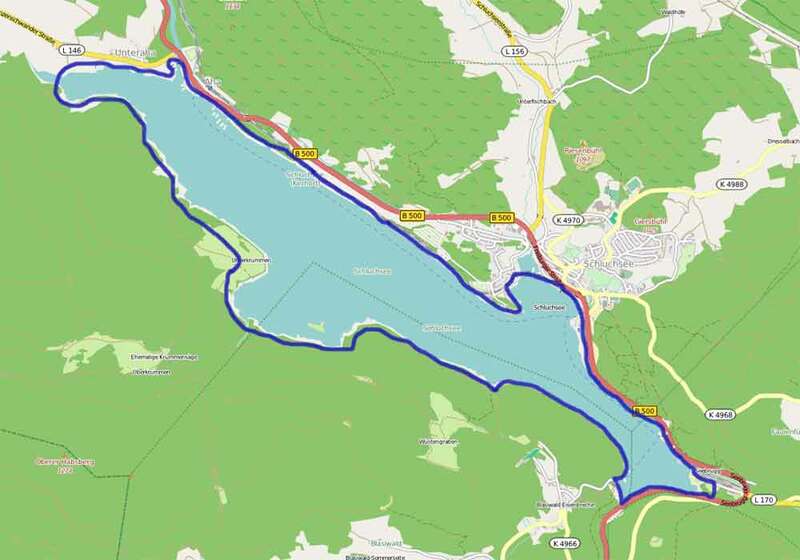 Driving distance from Lenzkirch to Lake Schluchsee: 9 km. Start at the train station in Schluchsee. Heading west along the railroad tracks and cross the railway bridge. Keep to the left and walk to the pavilion at the headland. 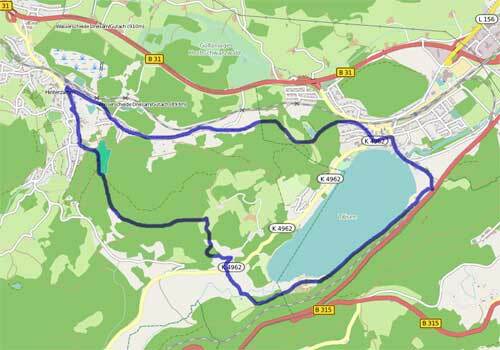 Walk on the trail along the lake first to Schluchsee-Aha and then further to the dam. You can stop for a meal at the Unterkrummenhof. Cross the dam and follow the main road for 800 meters further along the lake and then turn left to the Seebrugg train station. Cross the railroad tracks shortly after the station and walk further along the lake to the starting point. Distance about 12 km, duration about 3 hours. 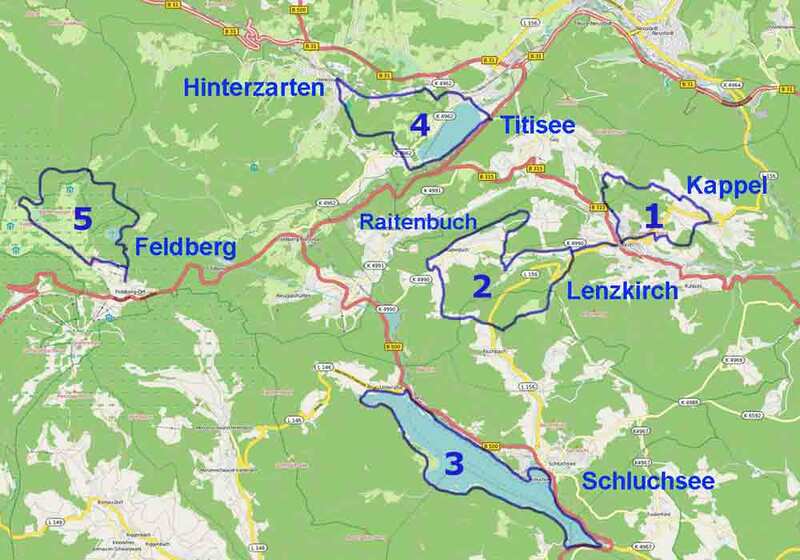 Driving distance from Lenzkirch to Titisee: 8 km. 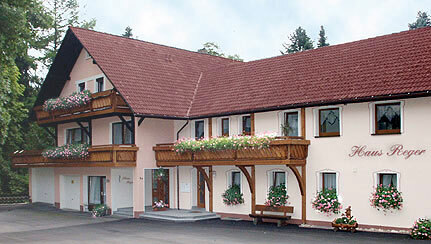 If you drive by car from Lenzkirch, park on the small rest stop on the main road at the end of lake Titisee. Take the underpass and walk straight to the waterfront in Titisee and then along the road Seestraße past the souvenir shops to the road Strandbadstraße. Follow the Strandbadstraße to the left for about 150 meters and then make a right into the road Alte Poststraße. After the ice pond turn right and walk ahead until Hinterzarten train station. Go left into the Adlerweg until you get to the ski jump Adlerschanze. Turn left after the ski jump and walk up to the Kesslerhöhe and continue to the Bruderhalde. 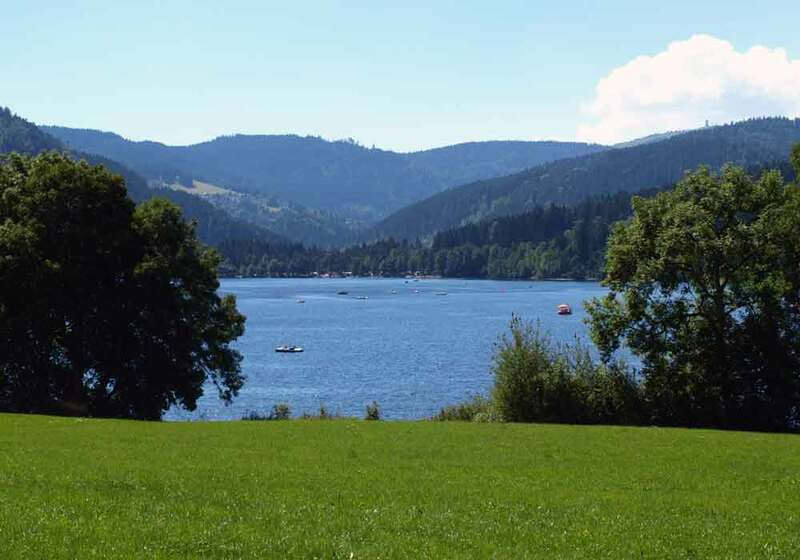 Cross the road and proceed to the campsites and walk along the the banks of Lake Titisee back to the starting point. Distance about 12 km, duration about 4 hours. 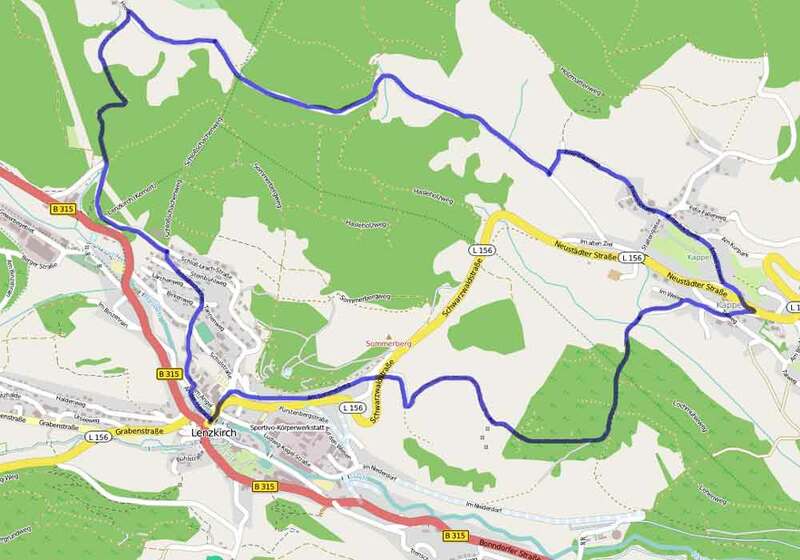 Driving distance from Lenzkirch to Feldberg village: 15 km. 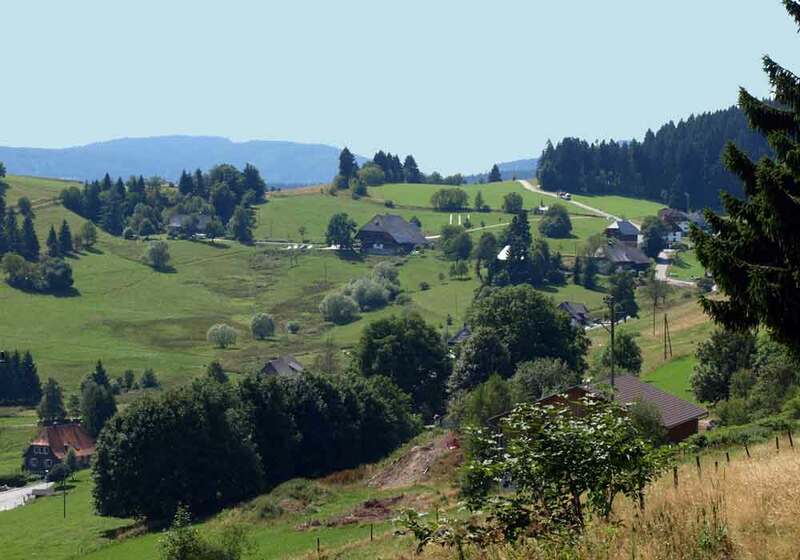 Park your car in Feldberg village at the Haus der Natur (House of Nature). Walk to the base station of the chairlift and from there down to the Lake Feldsee. 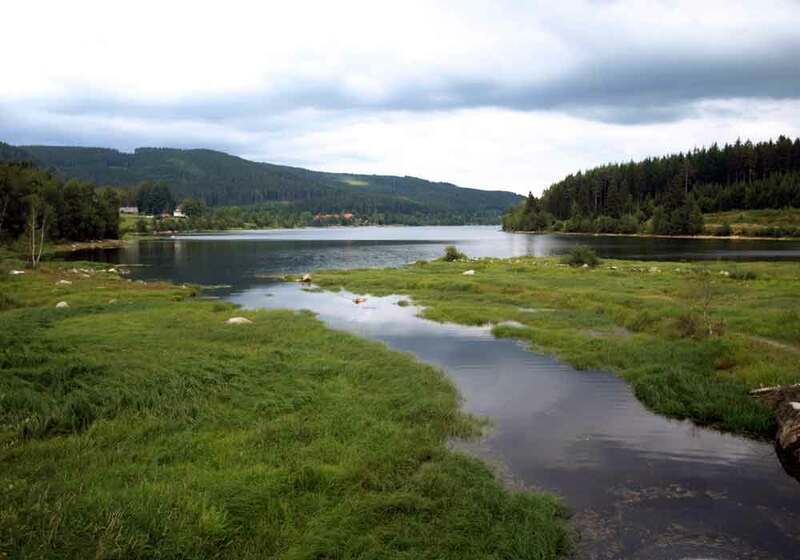 The Feldsee is up to 32 m deep was formed by glaciers during the last ice ages. From Lake Feldsee continue to the Raimartihof (refreshments available). Shortly before Raimartihof turn left towards Rinken. From there take the nature trail to the Zastler Hütte. From the Zastler walk upwards to the weather station on the Feldberg summit (1493 meters). 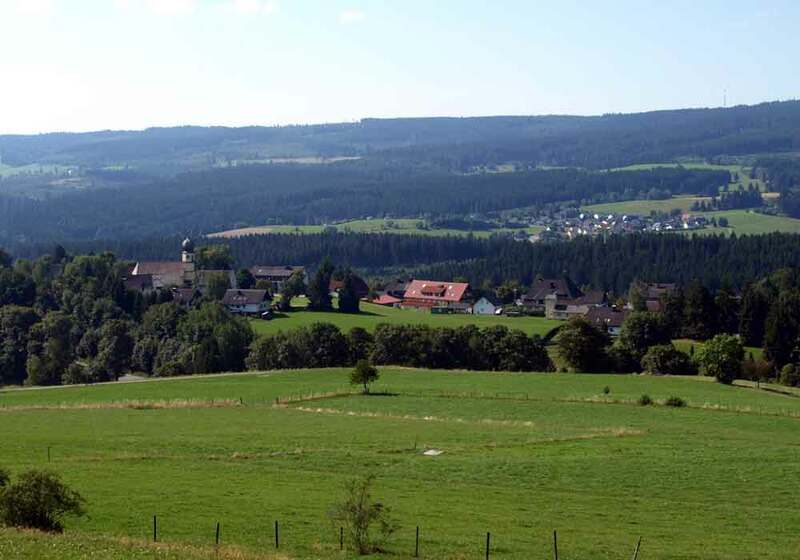 Here, from the highest mountain in the Black Forest, you have a wonderful view on the Southern Black Forest. In the south are the Swiss Alps and the Belchen Mountain, in the west you can see the the Ballon d'Alsace and the Vosges. Walk on to the TV tower on the Seebuck and then turn left to the Bismarck memorial. From the memorial you have a beautiful view down to Lake Feldsee. Then walk down to the base station of the chairlift and from there back to the starting point. Here you find a hiking suggestion for the Wutach Gorge. .